Riot Games, publisher of the hugely popular League of Legends game, responded quickly to a user reporting a seizure from the game. What happened this month is both a short and sweet case study in customer care, and a mystery. Two days after a new animated log-in screen for League of Legends appeared, two users reported on a forum that the visual effects of that image caused a seizure. Several others said that the jerking of the image every few seconds produced uncomfortable and unusual sensations. You can read the respectful exchange that unfolded in the League of Legends subreddit here. The mystery: What triggered the seizures? On to the mystery. If Riot uses software to test its games for the possibility of triggering seizures, how did this image get through the testing process? Looking at the image (I do not have photosensitive epilepsy) it doesn’t show obvious violations of image safety guidelines. Because there’s an interval of some seconds between the periodic vibration of the image, those shifts don’t create a flashing effect. (One user described it as a “shudder.”) And there are no bold patterns that trigger seizures in some individuals. No violations of seizure reduction guidelines occurred when testing the League of Legends image. I ran the image sequence through the seizure guidelines test software and, sure enough, the periodic shake barely registered. I consulted Prof. Arnold Wilkins of the University of Essex, a leading researcher in visual effects that influence the brain. He examined the sequence frame by frame (video typically runs at about 30 frames/second) and found a single blurred frame in each “shudder” that differed from the rest. He suggests that the resulting disruption in an otherwise stable image is “profoundly disturbing” to the visual system. Prof. Wilkins advised that even wearing colored lenses, which are remarkably effective in reducing or eliminating seizures triggered by flicker, probably would help only slightly in this instance. While many of the guidelines for seizure-causing images have been carefully defined through research, we clearly don’t know everything yet. 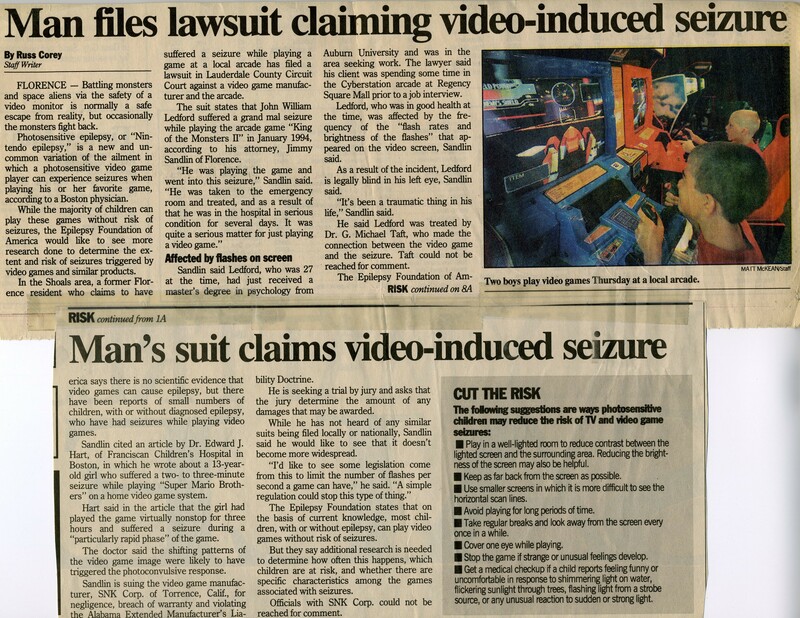 So even developers who follow image safety guidelines and test their products for a gaming experience without seizures can produce visual effects that are unsafe for those with photosensitive epilepsy.